Cameras are invented for the purpose of taking photos, by which people can keep time, especially cherishes memory. Past moments kept in photos can bring people back to good old days as if they lived that period again. We should appreciate camera today’s advanced technology, which endows powerful function and convenient operations to cameras and devices that offers camera feature such as cell phone. As the quick progress of science and technology, we have gone through the days when we printed paper or developed films, and at present we store pictures on storage devices, for instance, computer hard drive, removable hard drive, SSD (solid state drive), floppy disk, USB flash drive, digital camera, cell phone, memory card, memory stick, SD card, TF card and so on. And photos are saved in different types, for example, jpg, jpeg, tiff, CR2, NEF, DNG, ARW, ORF, SR2, CRW, PEF, etc. The amazing thing is that we can view and enjoy these pictures on computer, cell phone, or camera directly and we even can beautify pictures with certain programs. Modern way of taking and storing pictures is convenient though, it also brings troubles and inconvenience. Once you accidentally delete or format photos, you’ll be lost those precious photos which may include photos that record the growth process of your child. Photo recovery software will come to rescue when you are troubled by data loss problem. Some users may say we should send storage devices to data recovery center, which, however, usually costs a great amount of money and is not totally secure when considering privacy problem. Therefore, photo recovery software is highly recommended to retrieve lost photos especially when photo storage devices can be detected by computer. 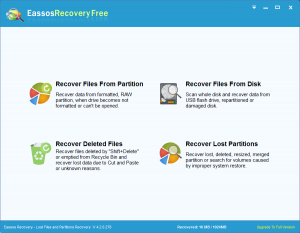 Here we take Eassos Recovery as an example to introduce the most effort-saving way of recovering photos. 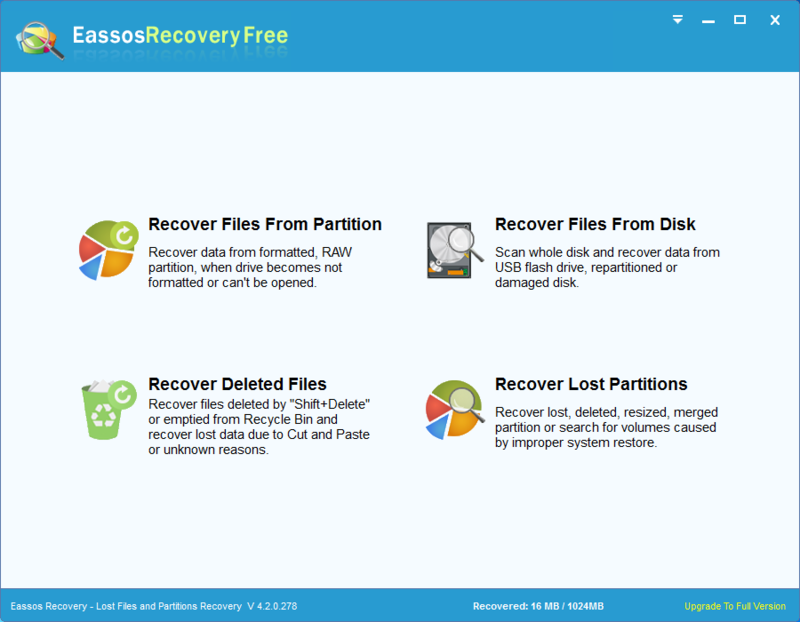 Eassos Recovery is easy-to-use photo recovery software that is capable of scanning and restoring lost photos from all kinds of storage media under Windows. It is so easy that beginners can learn and become recovery expert in minutes. And here are steps below to carry out photo recovery with ease. Install Eassos Recovery to your computer which runs Windows system, such as XP, Vista, Win7, Win8, etc. Get the program started and then it’ll start to guide you through the recovery process. Select recover mode, and then choose the location where lost photos were stored and then click “Next” button. Then the file canning process begins, which may take several minutes according to the scanning space. When file scanning is completed, you can filter and select photos and copy them to a safe location. Do not set the target location to the partition which is recovering files. This entry was posted in Data Recovery and tagged free photo recovery software, photo recovery, photo recovery software by EASSOS. Bookmark the permalink.